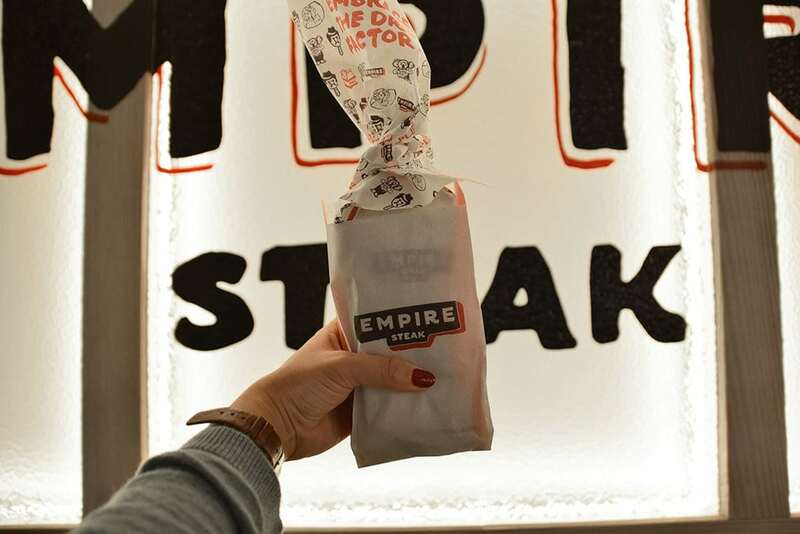 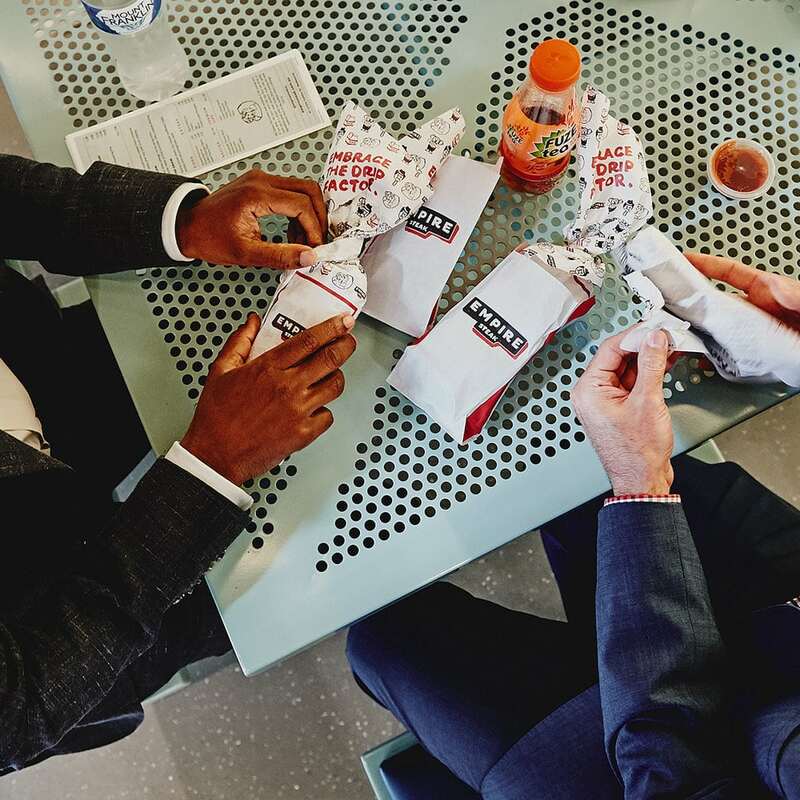 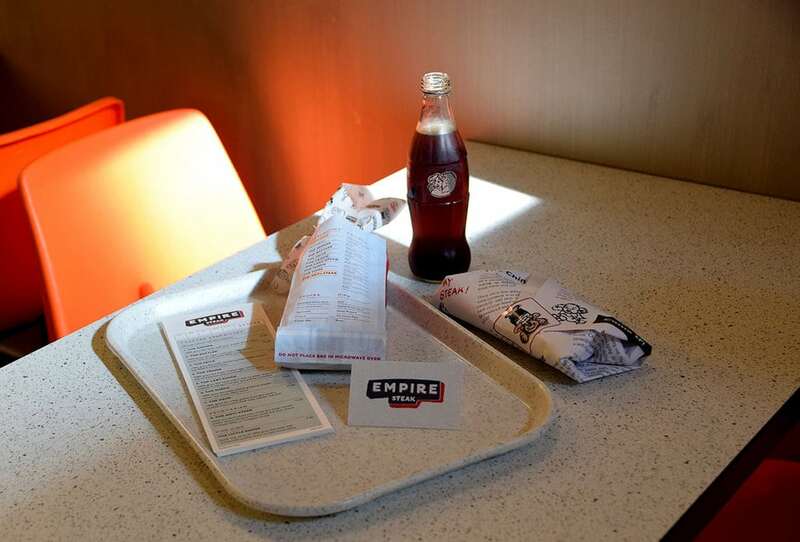 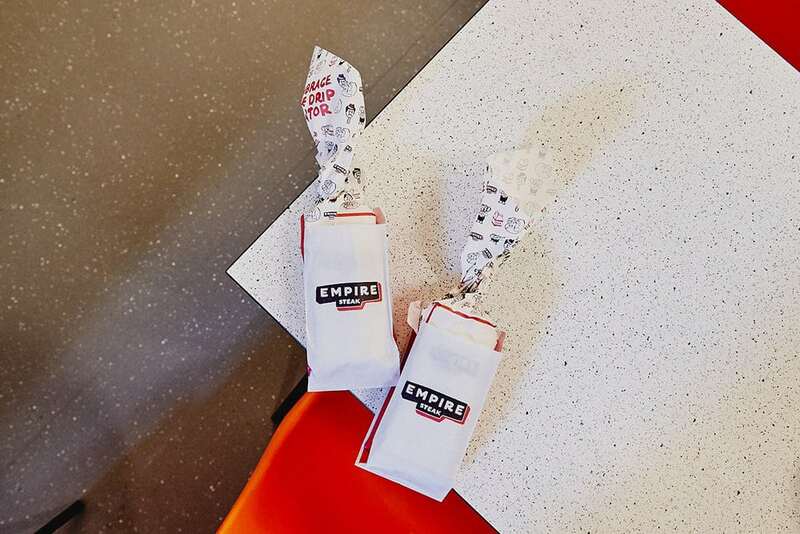 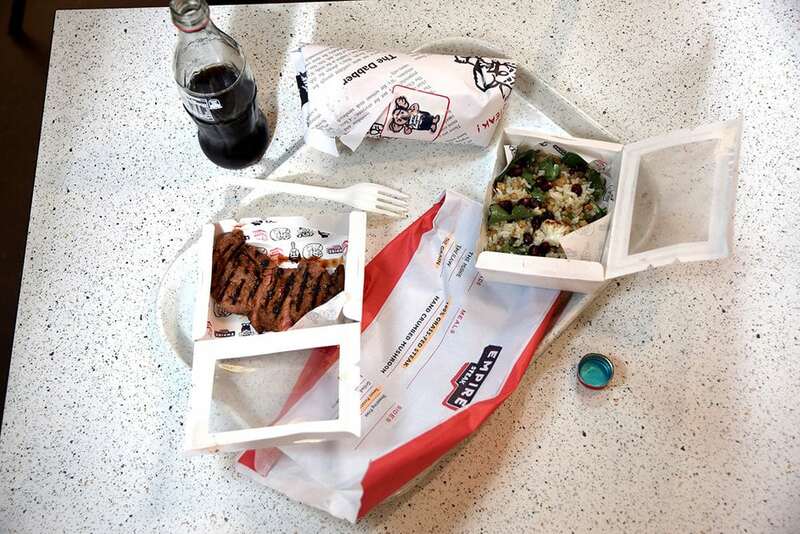 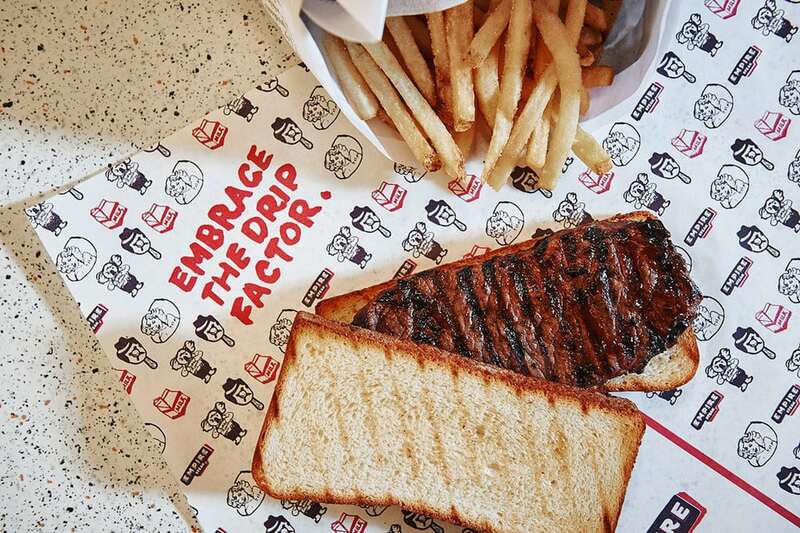 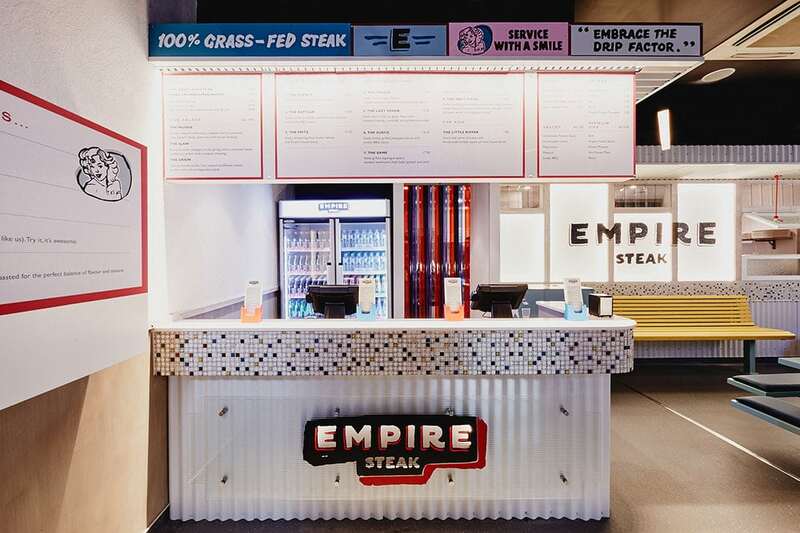 Empire Steak takes a humble Australian staple, the steak sandwich, and repackages it in a nostalgic, borderline kitschy way. 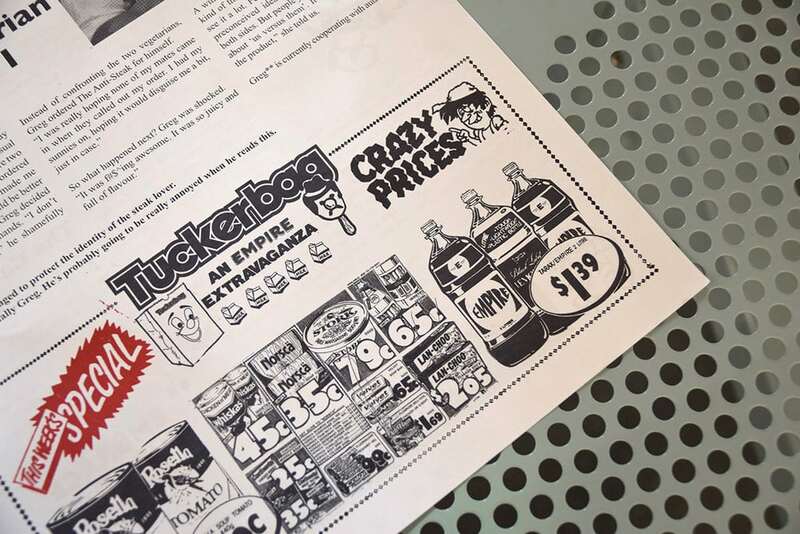 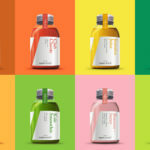 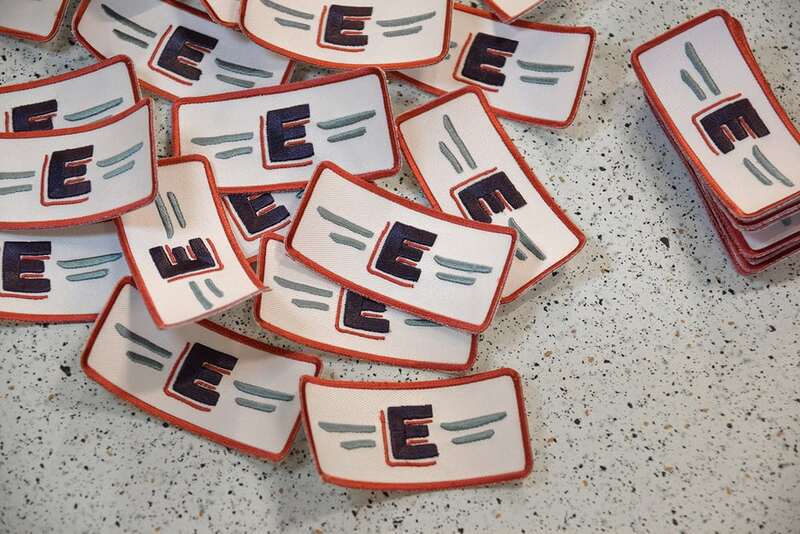 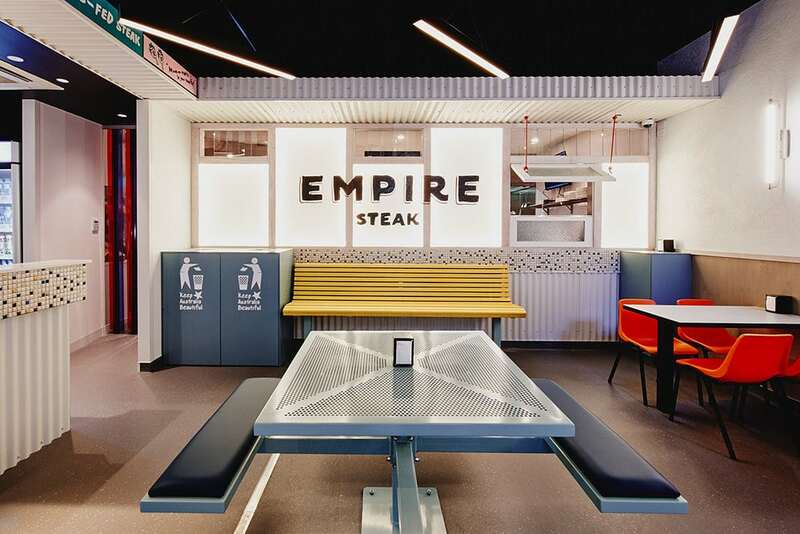 Brand Works build the visual language around the idea of ‘suburban prestige’; taking inspiration from laminex countertops, beachside ice cream carts, concrete streetscapes, hand-painted signage, and other typical suburban tropes. 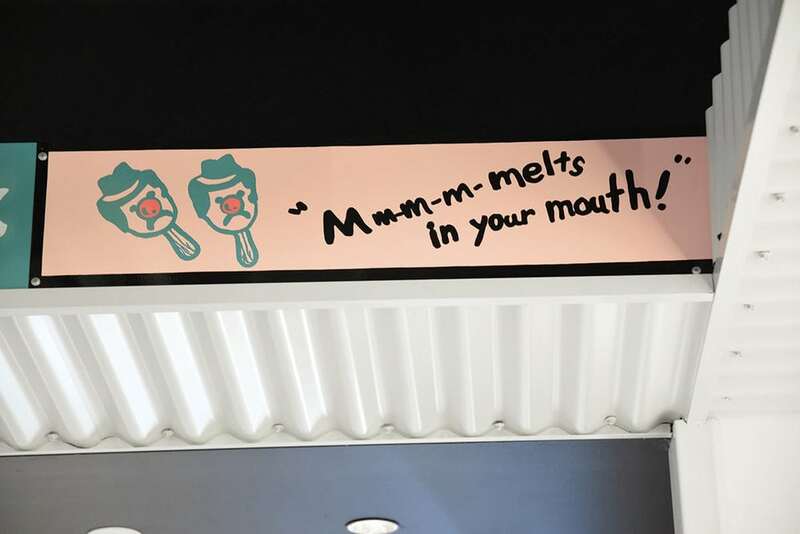 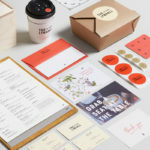 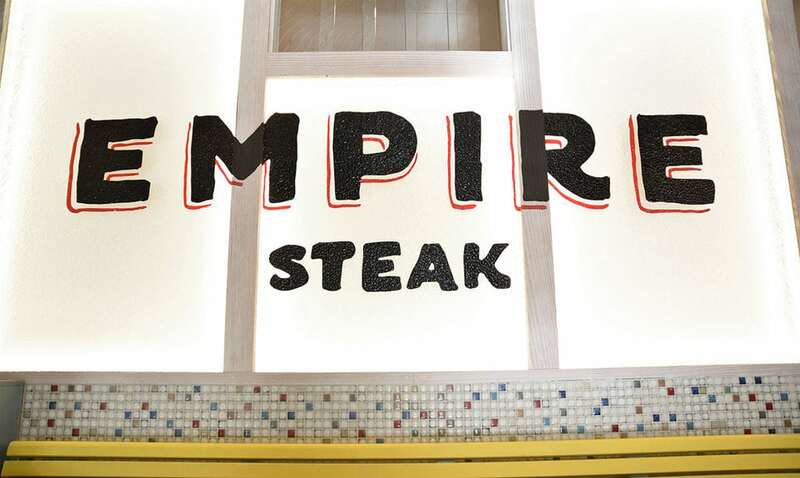 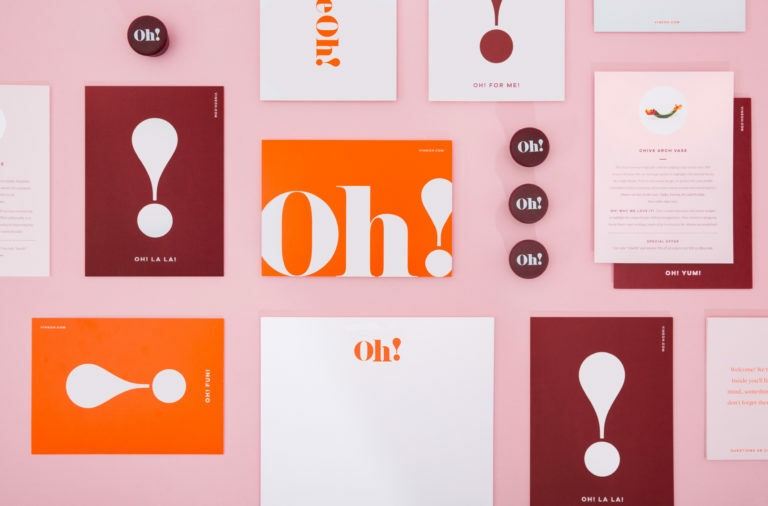 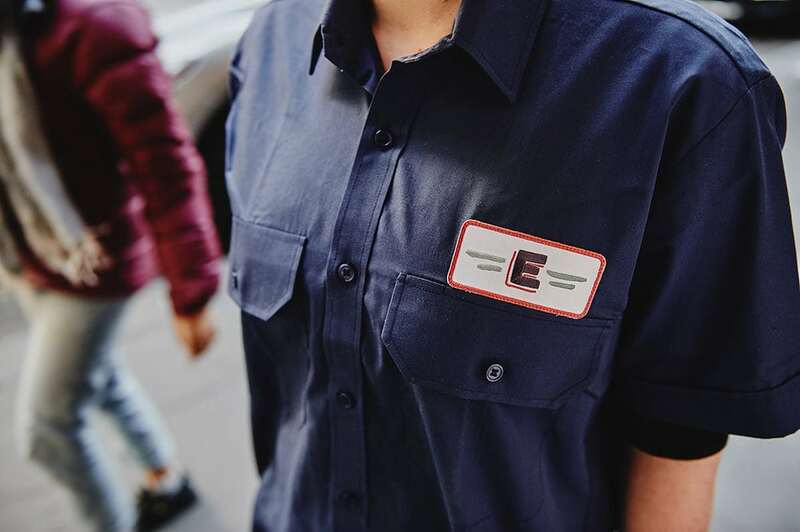 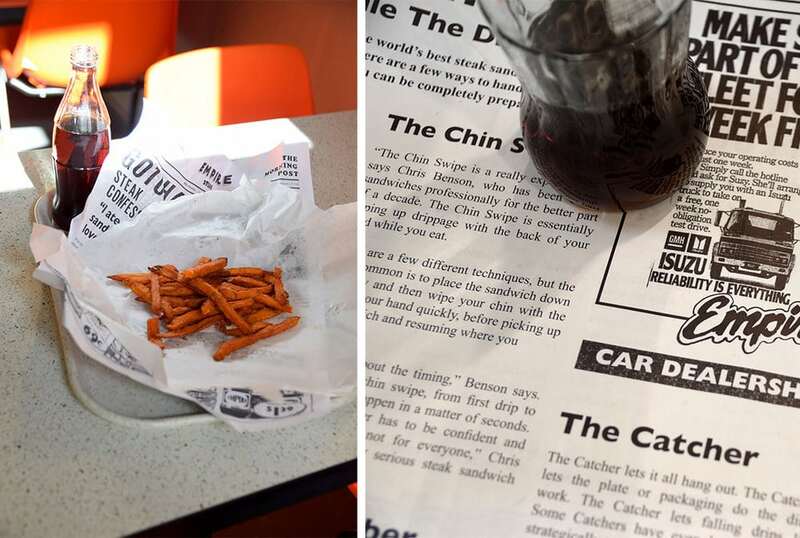 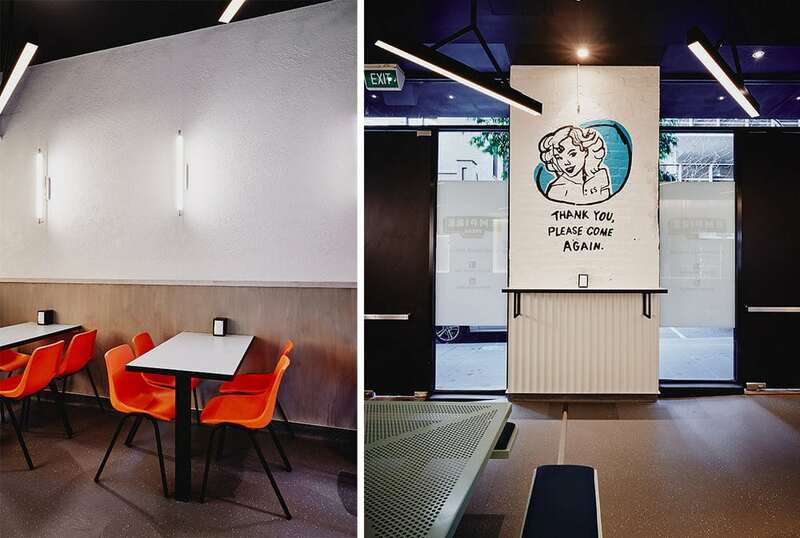 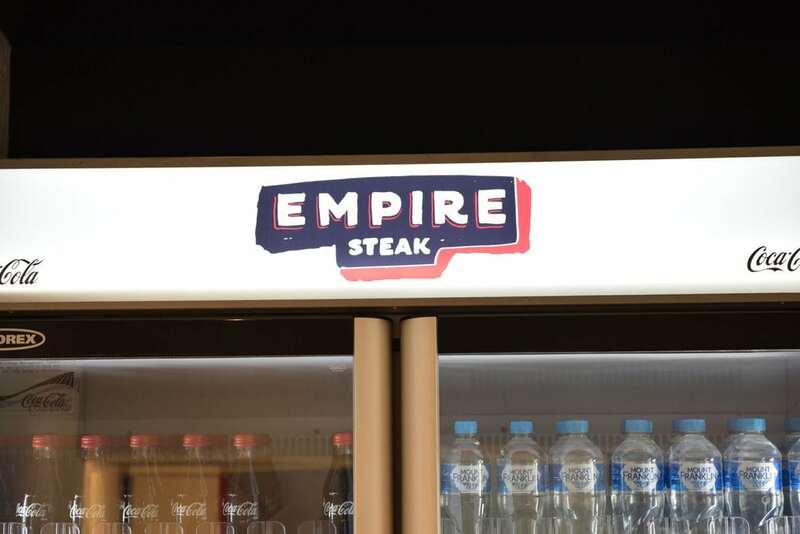 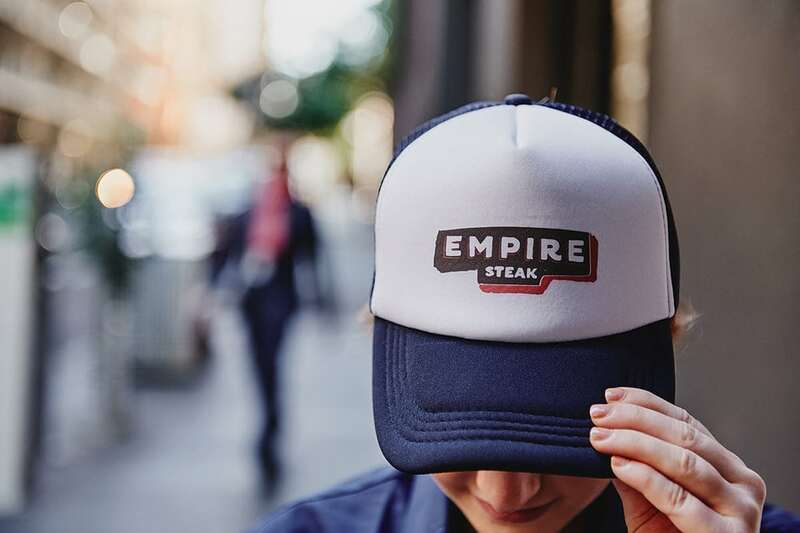 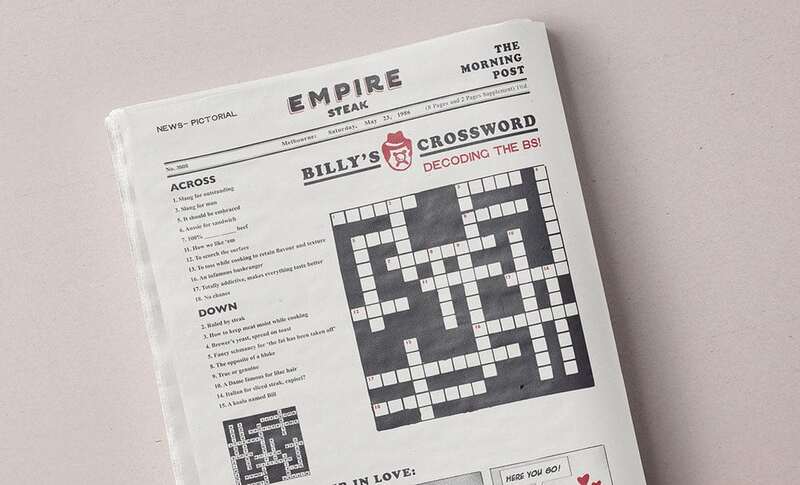 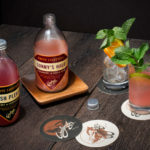 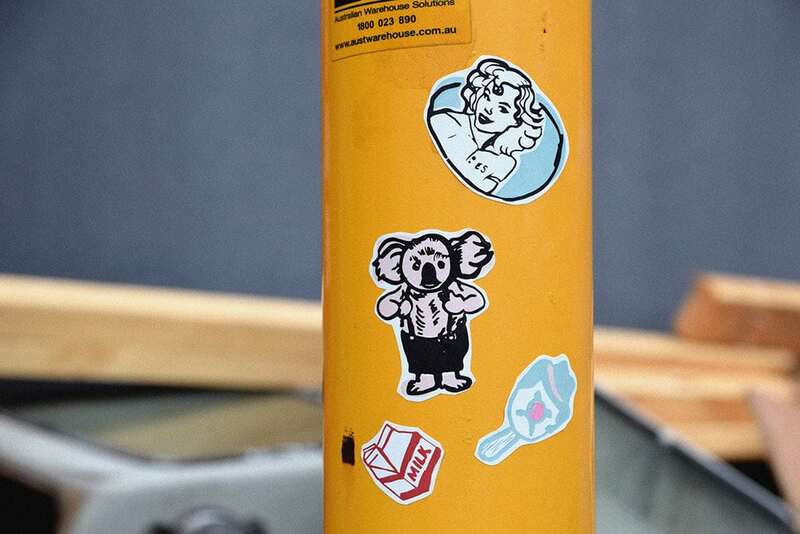 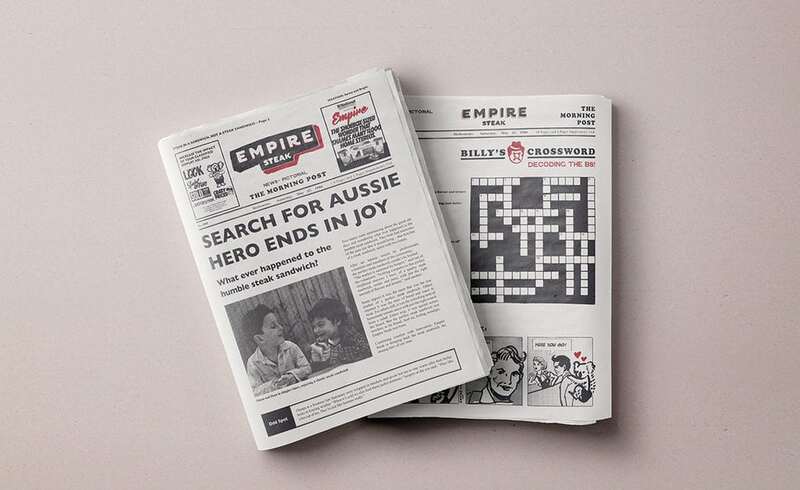 Empire Steak executes the Aussie lifestyle in a series of cheeky graphics and slogans, and carries it through the interior using humble materials, a washed-out palette and corrugated iron. 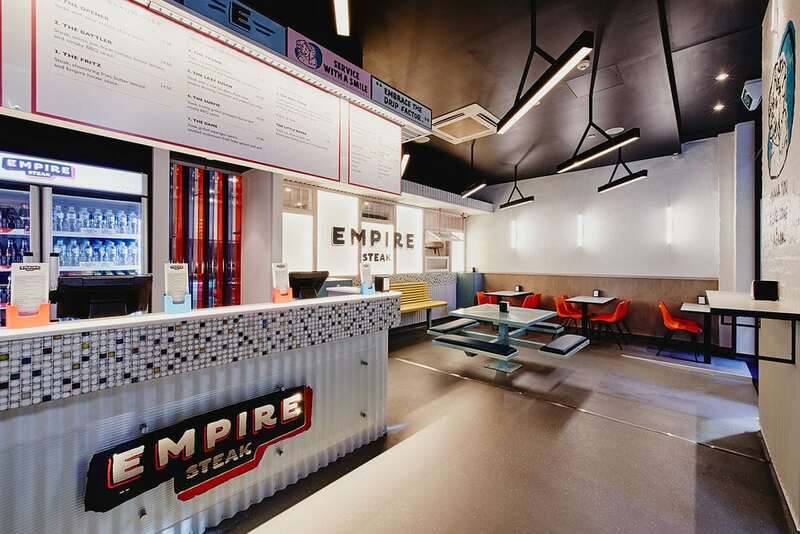 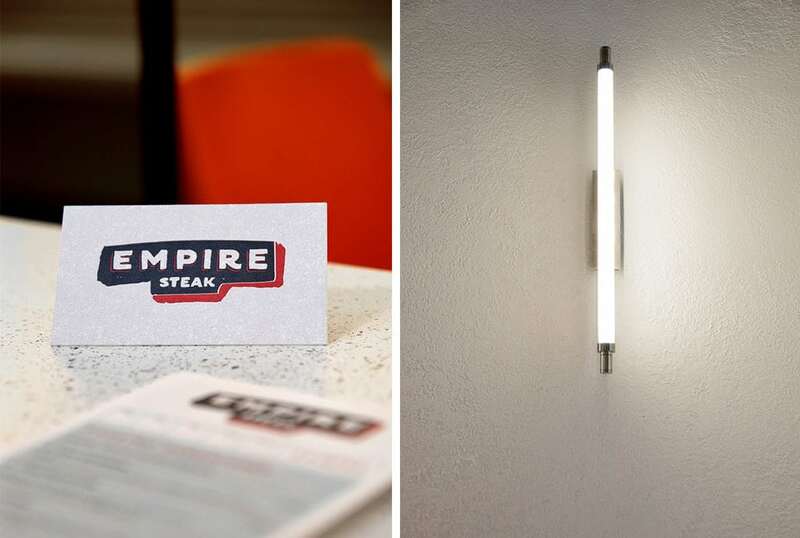 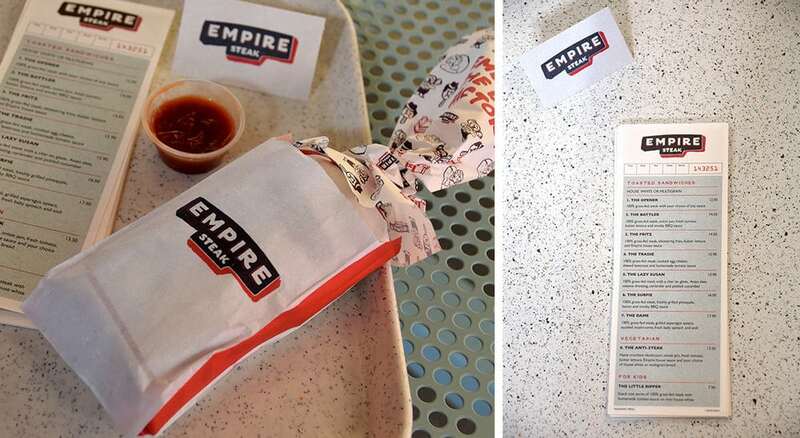 Empire Steak Branding & Interior Design by Brand Works.